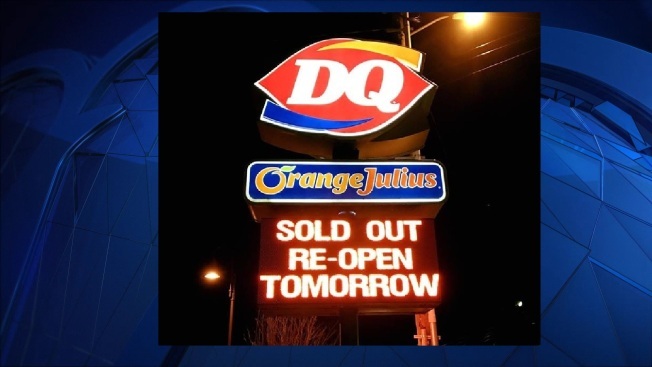 The unseasonably warm weather in New England led to an ice cream shortage for a Dairy Queen in New Hampshire. The Laconia Dairy Queen closed at 6:30 p.m. on Sunday after running out of ice cream. The spring-like temperatures resulted in a large turnout at the ice cream shop and, as a result, the Dairy Queen ran out of stock. The Dairy Queen revealed on Facebook that they had previously closed because of snow or blizzard conditions, but this was the first time they have ever been inconvenienced by warm weather in their 17 years of operating. The Dairy Queen will reopen Monday at 11 a.m.